The following programme 5 - Salerno of PIC URBAN Italia - represents the programme drawn up by the municipal services and approved by deliberation G.M. No.2407 dated 26 September 1994. 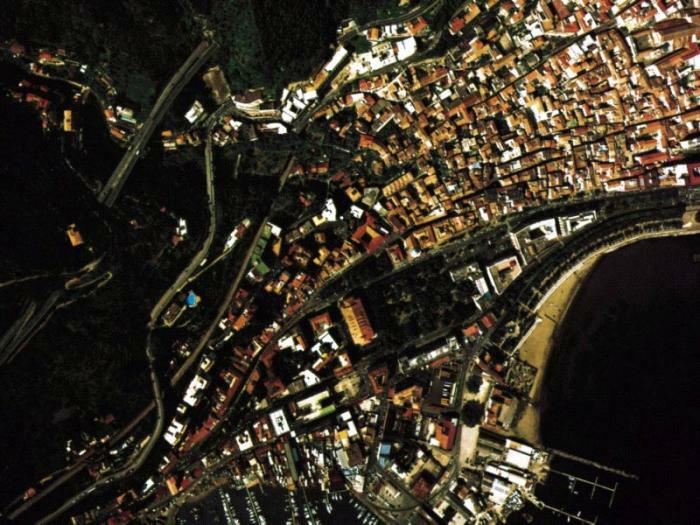 This programme identifies the area of participation in the historic centre of Salerno. With the decision of the Commission No. 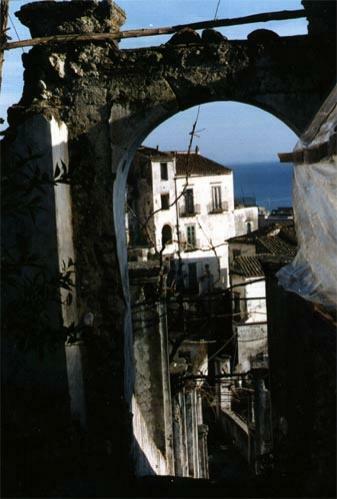 C (96) 890 dated 30 April 1996, Salerno was granted financial assistance by the European community. The programme will end on 31 December 2001. 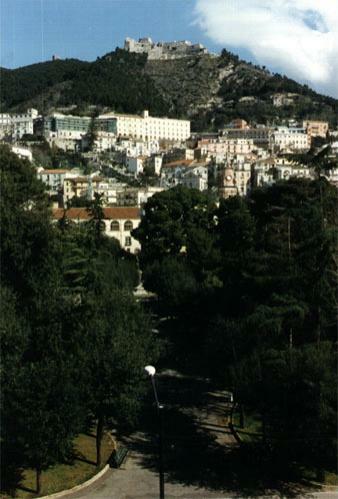 Salerno, the chief town of the largest province in Campania, covers a surface area of 593 sq. km with a population of 148,932; a density of 2,509 residents/Km2. The working population is found mainly in the service sector. The structure of commercial activity is characterised by a prevalence of small businesses with a low ratio between the number of workers and the number of small local businesses, compared with the ratio found in large scale firms, which is however still lower than the European standards. The percentage of unemployed is 22%, almost double the national average. Within the city, the historic centre, devastated by the 1954 flood and the 1980 earthquake, is one of the more rundown areas from the point of view of building activity. Nevertheless, given its location and the role it plays in defining the identity of the territory, the historic centre is one of the areas with the greatest capacity to influence the city's transformation. • the development of new entrepreneurial activities with particular reference to assisting young people to gain management skills. Before the recent general urban plan (P.R.G.) drawn up by Bohigas (from Catalonia, Spain), from the point of view of urban development the city of Salerno had been experiencing a long period of stagnation, the last urban plan of Scalpelli, Marconi and Marano being in 1967. Bohigas recognized, among other things, that the enormous problem of the damage done was so great that rigid planning and policy making would take too long. The amount of time taken to realise the plans may have transformed the planning elements into a potential barrier to the city's growth. Consequently, the planning document opposed the rigid application of regulations, choosing rather the dynamic approach of project flexibility, whereby continual redesigns could be carried out. Rather than design a rigid and comprehensive grid, it was necessary to identify the zones which were more urgently in need of attention - areas for specific urban attention, rundown urban areas important for their urban identity and potential- and to concentrate the planning and administrative resources on these areas. The explicit risk is that this rationalisation of the above-mentioned zones will see an improvement of urban standards and the quality of life also in the surrounding areas, reducing significantly the time available for project realisation, that is to say in the final analysis, the risk of obsolescence of each plan. To interface the programme with other town planning initiatives (the international ideas competition "Edifici Mondo", and the realization of the underground train system) the authorities wanted to take advantage of the possibility offered by European joint financing to bring about an integrated project which involved one of the existing AAPU plans already projected by Bohigas. To realise the integrated programme, numerous developments were integrated and implemented to become six "measures", each being a notable combination of funding and administration, but homogeneous within each unit from the strategic point of view. In this paper we will describe in particular the public works (two public gardens and two city squares) and the restoration of a large historic building, the former Church "Dell'Addolorata". 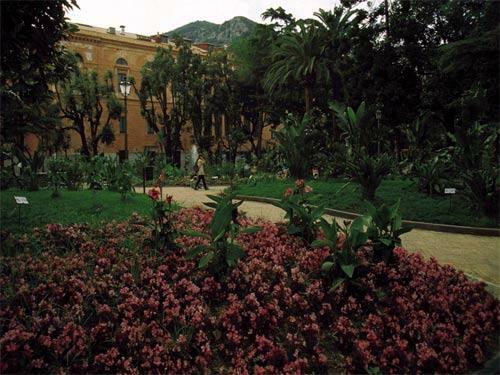 The public space renovations were realised principally with the restoration of the public garden "Villa Comunale" and the historic "Giardini di Minerva", with extensive works including water drainage, pathways, public facilities, maintenance and extensive replanting. The projects not only restored the areas to their original historic condition, but also introduced other new functions. The new fenced "Villa Comunale" was fitted with a music system for the dissemination of music. Perfumed plants were introduced, and all trees, shrubs and other plants were biologically identified using ceramic name tags. The beds and paths were also redesigned, keeping in mind the recent changes to the surrounding urban area. The "Giardini di Minerva" is a series of cultivated orchard terraces, connected between each level by steps, beside which runs what remains of an antique watering system constructed by the Longobards. It was probably the original botanical gardens of Matteo Silvatico, the first hortus conclusus, the historic existence of which is certain. The project respected the original layout of the garden to ensure the area use as being compatible with the historic value of the site, reinstating the original Arabic watering system, as well as other elements of the site's past splendour. 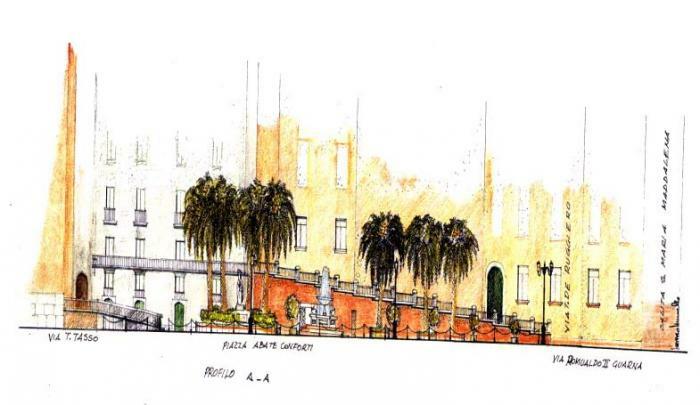 In the garden, a Salerno botanic garden will be located which will complement the activities of the "Giardini di Minerva" historic archives, recently constructed with municipal support and funding. As regards the urban space, URBAN has concentrated its resources on the city's icon, the Alfano I Square, in front of the Cathedral, and on the smaller Abate Conforti Square together with the Forum of Longobardi epoch besieged by successive structures built with apparent extreme disrespect. Even the extraordinary beauty of the Arabic/Norman Cathedral (a national monument and the most prestigious and iconic site of the city) was affected by elements of disorganisation and decay of the area, an extremely grave situation considering its importance and value. The public works undertaken freed the Cathedral surrounds and transformed the area into one of open public use. 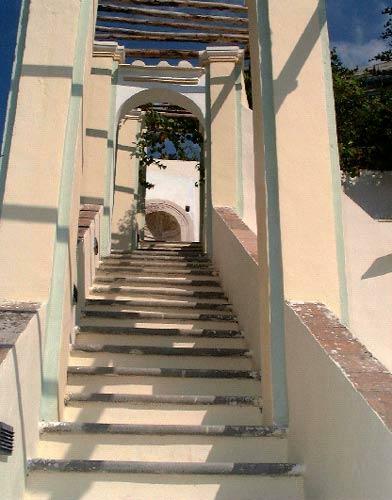 With reference to building restoration, in strict terms, the work performed on the Church "Dell' Addolorata", which promises to become one of the main cultural centres of the city, was undertaken with particular attention to the needs of the elderly and the disabled for whom a wheelchair lift was installed. The church, built about 1000AD and restored in the mid-1800's, is neoclassical with a single nave and interesting decorations. The completed restoration allows the use of the space for communal cultural activities and, in particular, has a theatre, an auditorium, a conference hall, and an exhibition space which URBAN identifies as a revised artisan workshop/ showroom. In line with the imposed method of the P.R.G., the municipal administration has prioritised in URBAN's activities the importance of action and will not hesitate to re-programme works in the face of significant administrative or operative problems. The central element of the programme is the comprehensive improvement of the quality of life of the district using a series of integrated projects based on urban renewal and commercial incentives. In urban terms, this means significant deployment of the available resources for development projects , and above all, for the improvement of the town area and the quality of the zone in question: to be able to restore fully the quality of the historic centre, it was necessary to bring the district back to being a livable, safe and clean community. On another level, the experience of managing other community projects led us to experiment with a gradual and progressive level of community involvement based on a model of permanent co-operation between local services and the community at large. It is already possible (while waiting for statistical confirmation at the end of the Programme 2001) to identify a large increase in property values, which have more than tripled since the beginning of the urban redevelopment, as well as constantly increasing economic activity in the area, seen as direct results of the programme. 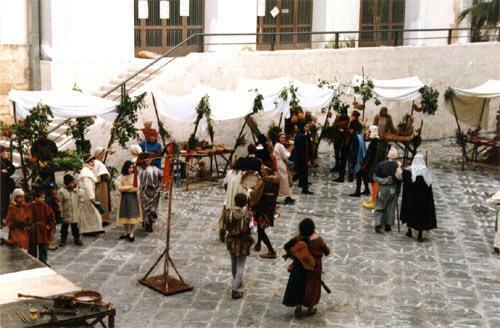 The programme has had a marked effect on the real productivity of the district by means of increased trading freedom in the restaurant trade and other related activities, and also helped with the creation of artistic/artisan workshops and studios. In conclusion, even though it is clear that the value of the results gained from the above-mentioned combined urban projects cannot be fully appreciated in the short run, evidence clearly shows that by restoring public and private activities and spaces to the historic centre, URBAN has brought about a complete about-turn with respect to the urban decay of recent decades.